An easy-to-make wine slush mixture! Add wine, water and freeze! Can be made with almost any type of wine or champagne! Can be made into a non-alcoholic slush mix too! 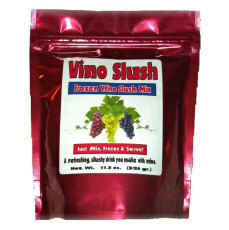 Introducing Vinoslush, the ultimate wine slush mix! Incredibly simple and easy to make, this refreshing slush drink is perfect for summers out on the deck or on the boat. It is incredibly easy to make as well! Simply mix with a bottle of your favorite wine, fill the bottle with water, add, mix thoroughly and freeze for 4 to 7 hours. It can also be made in a blender or in a frozen drink machine! Use red wine, white wine, sweet or dry, or even champagne! 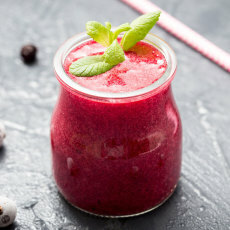 Want a tasty non-alcoholic slush treat? Simply swap out wine for non-alcoholic wine, ginger ale, grape juice, or a range of other juices. This mix includes only five ingredients: sugar, tea mix, citric acid, natural flavoring, and beet powder. 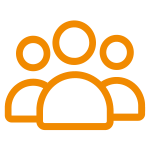 Make Vinoslush the hit of your next party or gathering!